Our solutions are used by tens of thousands of users around the world. The lists below feature selected customer references, organised in four broad fields of business. Industry: production equipment, handling equipment, special or technical equipment (meters, measuring or controlling devices, research center, etc.). 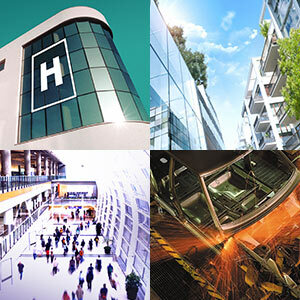 Property management: buildings, offices, infrastructures open to the public (shopping centres, council offices, chambers of commerce, local or regional authorities, airports, etc.) and associated facilities. Transport: rolling stock and fixed transport facilities. 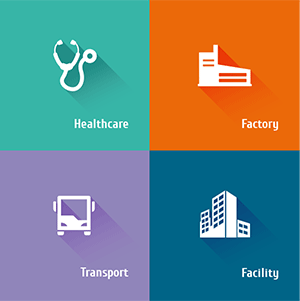 Healthcare establishments: hospitals, clinics, retirement homes, etc.